At the heart of this celebration, which seems so festive, are the words we heard in the hymn of the Letter to the Philippians: “He humbled himself” (2:8). Jesus’ humiliation. These words show us God’s way and the way of Christians: it is humility. A way which constantly amazes and disturbs us: we will never get used to a humble God! Humility is above all God’s way: God humbles himself to walk with his people, to put up with their infidelity. This is clear when we read the Book of Exodus. How humiliating for the Lord to hear all that grumbling, all those complaints against Moses, but ultimately against him, their Father, who brought them out of slavery and was leading them on the journey through the desert to the land of freedom. This week, Holy Week, which leads us to Easter, we will take this path of Jesus’ own humiliation. Only in this way will this week be “holy” for us too! We will feel the contempt of the leaders of his people and their attempts to trip him up. We will be there at the betrayal of Judas, one of the Twelve, who will sell him for thirty pieces of silver. We will see the Lord arrested and carried off like a criminal; abandoned by his disciples, dragged before the Sanhedrin, condemned to death, beaten and insulted. We will hear Peter, the “rock” among the disciples, deny him three times. We will hear the shouts of the crowd, egged on by their leaders, who demand that Barabas be freed and Jesus crucified. We will see him mocked by the soldiers, robed in purple and crowned with thorns. And then, as he makes his sorrowful way beneath the cross, we will hear the jeering of the people and their leaders, who scoff at his being King and Son of God. This is God’s way, the way of humility. It is the way of Jesus; there is no other. And there can be no humility without humiliation. Following this path to the full, the Son of God took on the “form of a slave” (cf. Phil 2:7). In the end, humility means service. It means making room for God by stripping oneself, “emptying oneself”, as Scripture says (v. 7). This is the greatest humiliation of all. There is another way, however, opposed to the way of Christ. It is worldliness, the way of the world. The world proposes the way of vanity, pride, success… the other way. The Evil One proposed this way to Jesus too, during his forty days in the desert. But Jesus immediately rejected it. With him, we too can overcome this temptation, not only at significant moments, but in daily life as well. In this, we are helped and comforted by the example of so many men and women who, in silence and hiddenness, sacrifice themselves daily to serve others: a sick relative, an elderly person living alone, a disabled person… We think too of the humiliation endured by all those who, for their lives of fidelity to the Gospel, encounter discrimination and pay a personal price. We think too of our brothers and sisters who are persecuted because they are Christians, the martyrs of our own time. They refuse to deny Jesus and they endure insult and injury with dignity. They follow him on his way. We can speak of a “cloud of witnesses” (cf. Heb 12:1). Let us set about with determination along this same path, with immense love for him, our Lord and Saviour. Love will guide us and give us strength. For where he is, we too shall be (cf. Jn 12:26). Amen. 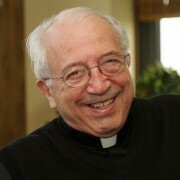 I had the rare privilege of an interview with Blessed Father Chaminade! Come Holy Spirit, come through the powerful intercession of the Immaculate Heart of Mary, your well beloved Spouse. PL Hello Father! I have been thinking about Consecration and the vow of Stability. This is the year of Consecrated Life. May I ask you a few questions? You seem to have a different interpretation of the generally accepted view of Stability. Is this true? WJC First of all, I am very glad to see you. It’s not often that I get the chance to talk with you. No, I don’t think I have changed the basic meaning of Stability as understood ever since St. Benedict’s time, but you are correct, my understanding of Stability in the Marianist Family does have a special twist. I’ll be glad to explain myself; in order to do this I must share with you my own development in appreciating Mary and her role in the life of the world. As you can guess, this directly influences Stability. PL Father, I know that in the Marianist Family Stability has everything to do with our devotion to Mary, but it must mean more than just a person loving Mary and being devoted to her. I know lots of people who are not Marianists who also love and honor Mary. WJC You’re absolutely right. Never did I intend to have a monopoly on love for Mary! Even if people had the very same views as I did, I would not want to deny them such a grace, but rather work with them to make Mary better known and loved. Nevertheless, I must speak about my own background if you are to appreciate what I am saying about Stability. You know, ever since I can remember, my family always loved Mary. Like many Christian families they dedicated me to the Mother of God. What a grace was given to me! I was baptized on the same day I was born, so I was always a child of Mary. But as I grew up I came to understand and appreciate this fact more and more. I’m sure I learned very much from my own mother. She really loved me, but she never hesitated to correct me. As I grew older I looked on my mother’s qualities and realized how much Mary was also kind, loving, and such a good teacher. PL I guess we never come to understand ourselves completely at any time. We always progress in our knowledge of ourselves and of the world around us. I heard you went to school in Mussidan. This collège helped you appreciate the Blessed Mother greatly, if I am reading correctly. WJC Yes, at school it didn’t take long before I was attracted to and joined the postulants of the Congregation of St. Charles. The school was run by these holy priests. My brother, Jean, was among the faculty. I suppose that’s why my parents wanted me to go to that school. My brother Louis was also a student. 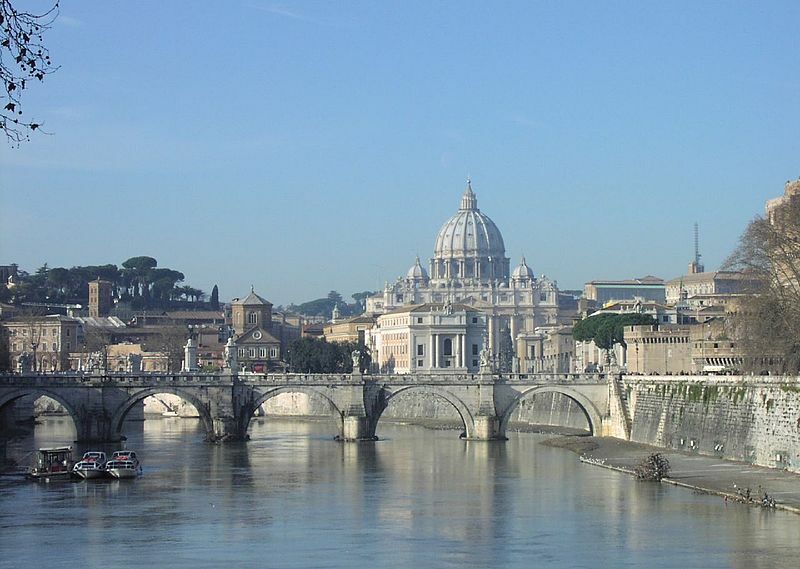 Jean was a Jesuit, but the Society of Jesus had been dispersed by Rome. That’s why Jean was teaching there. These teachers really loved Jesus. They showed me that becoming like Jesus was everyone’s goal in life. I began to see that even my love for Mary had to lead me to become like Jesus. Isn’t that why Mary became the Mother of Jesus and our Mother? These thoughts began to shape in my heart as a postulant in the Congregation of St. Charles. At school I experienced Mary’s special help when I hurt my foot. My brother Jean, who was always my friend and who taught me so much about prayer and virtue, asked me to pray to Mary. He suggested I make a vow to walk in pilgrimage to the shrine of Notre Dame du Roc if I got better. I did so and Mary heard my prayer. Some people will still tell you I was healed by merely natural means. I believe God works through natural means also, but compared to what I had suffered before, the suddenness of my recovery after praying to Mary convinced me that Mary helped me. It is good to have her on your side. PL What does Notre Dame du Roc mean? Where was this shrine? WJC It means Our Lady of the Rock. It is a shrine in the mountainous region of Mussidan, a good distance from the school. This was not the first time I had visited the shrine. In fact, I became a member of the Rosary Confraternity there. This shrine always had special meaning for me through the years. The statue of Mary venerated there is unique. I believe I came to appreciate Jesus’ words to Mary and John at the Cross because I loved to pray before this image of Mary. Mary is holding Jesus who has died on the Cross. It is a Pietà. Mary’s faith is steady like the rock. You know, rocks have played an important part in my life. Even Stability makes us firm like a rock. PL Father, I remember that when you went into exile at Saragossa you venerated the image of Mary standing on a pillar. In light of what you have been saying, perhaps even that had special significance for you? WJC Isn’t it interesting how the Lord works. Years after the incident of my pilgrimage to Notre Dame du Roc, I would be inspired by our Lady again, standing on a rock, Our Lady of the Pillar in Saragossa, Spain. The Lord continually surprises us. God always seems to prepare us for what is expected. That is why it is important to listen to the inspirations of the Holy Spirit and follow them as carefully as we can. That’s what Mary tried to do. That’s what I tried to do during my life. PL Can you share with us some of the times you felt inspired by the Holy Spirit. WJC For instance, I felt drawn to become a religious. My brother Jean had a lot to do with that. He had taught me the ways of prayer and how to listen to the voice of God. The Holy Spirit inspired me toward a life of poverty, chastity, and obedience. I visited a few religious communities, but discovered these were really not fervent. They just didn’t resonate with what God was saying in my heart. These communities had been in existence for a long time and those living in them felt very secure. But they seemed to have lost something in the process. The French Revolution changed all that. Then, it wasn’t safe to be a religious. I continued to feel attraction for the religious state. Again my brother Jean guided me to make private vows. Even though I was only 14, I knew what I was doing. I knew what I wanted. I’m sure Mary was preparing me even though I didn’t see that so clearly at the time. PL Another question Father! You came back yourself and taught at the Collège of Mussidan along with your brothers. What was your role there? WJC After I finished school, I continued my studies for the priesthood and, in due time, was ordained. I had remained a member of the Congregation of St. Charles and tried to live according to the Rule of Life I had taken when I was a postulant. This Congregation was not a religious Order. It was more like a Sodality for priests and those preparing for the priesthood. In that sense I was trained well for my work later on. I came back to teach at the collège after ordination. There were three of us Chaminade brothers there. I was given the job as the treasurer. However, it was as a teacher there that I really began to think about Mary and the meaning of Stability. PL I don’t understand what you mean, Father. Could you explain that a little more? WJC Certainly. I had some very good students. One student, in particular, Bernard Daries, was evidently touched by God’s grace. Since I worked very closely with him (I was his advisor through to his doctorate), we became fast friends. God inspired him to found a religious order. Bernard wanted to call this Order, the Society of Mary. Isn’t it fascinating how God works in such strange ways! We both wanted to belong to Mary completely. But this was not yet God’s providential time. Then came the French Revolution. People may think of it now as a glorious time, but they don’t understand the great devastation of religion, the death of so many good people, the loss of faith for so many, and the near ruin of the Church in France. Revolutionaries placed the goddess of reason in the niche at Notre Dame in Paris, where the statue of Mary once stood. What an insult to the Mother of Jesus! These were hard times for all of us, but through it all I experienced the special protection of Mary. Although all priests were sent into exile, I decided to remain. I felt strengthened by the Holy Spirit to minister to the people, so many of whom were riding to their death each day in the tumbrels. I can tell you story after story of how Mary protected me. Divine Providence became a reality for me. I took many risks to serve the people, but I knew Mary always was there helping me. Finally I, too, was forced to go into exile. PL Why did you choose to go to Saragossa? WJC I’m not really sure. I had to leave the country very quickly. Saragossa was fairly close. I knew there were French people and some of my close friends there. In Saragossa were priests, religious and laypeople, and even a bishop—all exiled from France. We had a hard life because we were unable to work. We had to survive the best we could. We helped each other. I used to make little figurines out of plaster and sell them. The little we earned we shared. It was like the early Church. Bishop Tour de la Pin and I became good friends there. He wrote to Rome later to help me obtain the title and powers of Missionary Apostolic because I knew I would need them when we returned. We had to restructure the Church in France after the Revolution. This was the main point of our conversations as exiles. Despite all the sufferings we endured, I was very happy there. Mary was in our midst. We prayed together, suffered together, and tried to help each other. The Acts of the Apostles came alive. We tried to meet everyone’s needs. Those who had, shared; those who did not have, received. The night I arrived, on the eve of the feast of Our Lady of the Pillar, I was immediately caught up in the celebration. 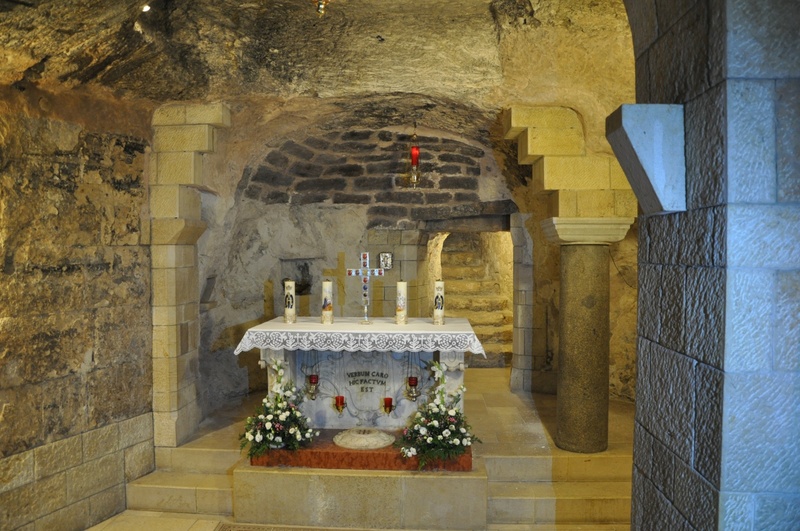 The tradition around this shrine is that Mary encouraged St. James the Apostle when he was most frustrated in his work of preaching the Good News of Jesus to the people. Mary appeared to him standing on the Pillar, the symbol of faith. He continued his mission trusting in the power of Jesus, and we see the wonderful results. There at the shrine in prayer I spent a lot of time saying Thank you to Mary for protecting me. I told her often that I belonged to her and that I wanted to be at her service. The Lord works in providential ways to develop us. It was while I was in prayer that the moment came that changed my life. 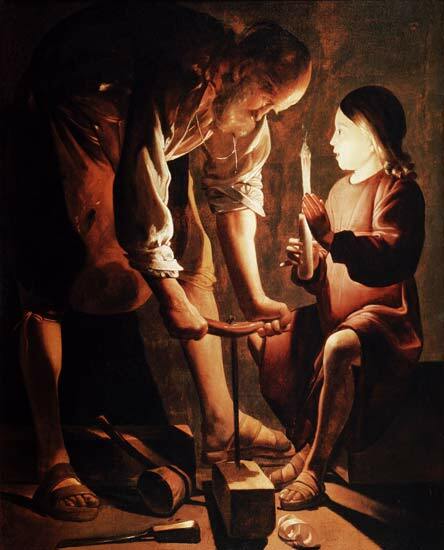 PL: Tell us about it, Father, because we have heard snatches of your encounter with Mary. These have drawn us closer to Mary ourselves. We want to give ourselves to her also and to help her in her work. It would be very helpful if we heard from you what really happened. WJC I thank God for your words. They only confirm for me what Jesus and Mary have done for me. Before Mary in prayer I realized that to her the final victory was given. Just like St. James must have felt, I understood that despite the apparent defeat of religion through the Revolution, Mary would triumph. She had conquered all heresies and would now be victorious over the complete indifference and hostility to religion that gripped France. This conviction gave me a focus. It helped me to see where I was going and what I was to do. Mary would help me to become like Jesus. I would help her make Jesus present throughout the whole world. This conviction became so vivid, and I was given such an understanding that as soon as I returned to France I immediately began to implement these insights. I was a missionary of Mary, a collaborator with her. I would help her bring Jesus back to the world, especially to my beloved France. PL Father, is this why you started the Sodality of Bordeaux? You called this your work of predilection. Why is this so? How was this Sodality different from others? WJC You are asking a lot of questions, but I am happy to answer these, because it was my work of predilection. I started the Sodality of Bordeaux to bring religion back to my country. Catholics had been isolated. Everyone was afraid to practice their religion openly. You wouldn’t believe the social pressure good people faced. Mary had showed me that we had to build communities of faith, where people would be permitted to express their faith and where the group would support the religious practices that nourished this faith. Other sodalities worked with certain groups or classes. The Sodality of Bordeaux was open to all, men and women, married and single, priests, rich and poor. As the Sodality grew, we became a close family, just as I had experienced in exile. Mary was the heart of our Sodality. In such a loving atmosphere, we realized we were all her sons and daughters. Jesus was present in our midst. Mary attracted to us those she wanted, after all it was her work. She helped us to love one another, while Jesus exercised his saving power through this love. Much good was accomplished through the Sodality. Oh! If we only knew how much Mary protects us! My life was extremely busy during this time. I used the powers given me by the Holy Father as a Missionary Apostolic as effectively as I could. We were given for our use the Church of the Madeleine, and this became the center of our activity. Yes, I know how Mary works. If we give ourselves to her she will do much good for us and through us. Cardinal Donnet, the archbishop of Bordeaux, at one point said, “when I trace all the good that is happening in my Archdiocese, I find the name of Chaminade and the Sodality behind it.” It wasn’t that we were doing so much. Rather, it was because we were listening to Mary, trying to do what she inspired. How much she desires that everyone become like Jesus! PL So the Sodality of Bordeaux came first, then the Daughters of Mary and the Society of Mary. How did these religious congregations arise from the Sodality? WJC Yes, from the Sodality came the religious congregations. The Lord gave me such good friends. Marie Thérèse de Lamourous remained my friend and spiritual daughter through the years. I thought she would be the one God sent to help me. But the Lord chose her to develop the work at the Miséricorde with women in need. She surrendered her whole life to that. She still remained a big help to me with the other religious congregations that sprang up. First, came the Daughters of Mary with Adèle de batz de Trenquelléon. Adèle really loved Jesus and Mary. What a beautiful spirit she had! How filled she was with missionary zeal! She was a natural in organizing. She had groups formed even before I knew her. It must have been Mary who sent her into my life in order to fulfill the mission the Mother of Jesus had given me. These friends helped me to remain focused on my mission. There were so many needs demanding attention. That was why we prayed to Mary each day. I will never forget the day, May 1, when Jean Lalanne, who had been in the Sodality for such a long time, came to see me. Eight years before, in 1809, he made a retreat with me. He was so young, but very generous. God sent him to help me fulfill the plan given 20 years before. Some people think that, when God asks us for something, we see everything clearly. The truth is that the Lord shows us piece by piece, asking us to be faithful day by day. Slowly but surely, the complete picture forms, while, as we go through it, we see only a puzzle with pieces yet unrelated. Lalanne came to me and said, “Father, I feel called to give my life to do what you are doing. This is what I think God is asking of me.” I was overjoyed, not because I thought I was going to get more help, but because I saw that Mary’s plan with which she had inspired me was coming to fruition. At Saragossa I understood that you can’t have the fullness of the Christian life unless you also have religious life. Adèle had started the Daughters of Mary. Jean Lalanne now, with some other sodalists, began the Society of Mary for men. This was almost twenty years after I returned to France. If you think Rome works slowly, God works ever so deliberately. But when the Lord acts, watch out! . PL Father, I don’t know if we are getting off track, but I’m not sure how all this fits into our topic of Stability. I sense it has something to do with Mary and something to do with the Marianist Family, whether we are religious or laypeople. Just what exactly was the insight you received and how does this make our notion of Stability different than the usual notion accepted by the Church? WJC No, we are not getting off track. You are correct in thinking that Mary and the Marianist Family are somehow related to the notion of Stability. Let me continue, and perhaps it will become a little clearer. At Saragossa I came to understand that Jesus called me to be united with Mary to raise up a nation of believers who would offer themselves to her in order to fulfill her mission. Her mission was nothing less than the Church’s mission to bring Jesus to the world. The Sodality had its work cut out for it, since the lack of religious instruction was practically universal. Much had to be done to bring the sacraments to people who had been starved and neglected. However, we were convinced that Mary was there with us. In our efforts to do her work I learned how she was the Mediatrix of all graces. I encouraged all those who joined the Sodality to dedicate themselves to Mary, that is, to consciously choose her as their mother. By Baptism and faith we all already are conceived by the Holy Spirit and born of Mary. But I was looking for people who would understand this, choose deliberately to be Mary’s sons and daughters, and dedicate themselves to help her make Jesus present in the world. Through her intercession they themselves were being formed into Jesus. That was the source of their happiness. So you can imagine how pleased I was when first Adèle and then Jean Lalanne came to me and told me they felt inspired to continue this work as religious. It was like a dream come true; it was what I had been waiting to hear for so long. I wanted to be sure that what I was doing was God’s work, not my own. Their desires were a sign from God that what I had been inspired by was really from God and not from my own enthusiasm. It was really a great moment for me, and I was so happy. I saw that the work would continue. A vast multitude, coming through the centuries, walked past my mind’s eye. They would all be sons and daughters of Mary, and she would cooperate with them, dispose them to receive the Holy Spirit, so that they could become like Jesus. She would use them, despite their weaknesses. She would supply the light and strength to enable them to touch hearts, to bring others to Jesus. Wherever they banded together Jesus would be in their midst, and God’s Kingdom would be closer at hand. PL Father, doesn’t Stability, then, still mean that we persevere in a place? WJC Generally, religious thought of Stability as remaining in one house for one’s life, serving God. This was the essence of being religious for them. I wanted real religious also, but I wanted Stability to mean something much more. Members would enter and remain in a state of being much more than in a place. God knows what happened after the French Revolution when religious were disbursed. There had to be a way for maintaining commitment other than to be associated with an institution. I wanted persons who would not be fixed to a house but would be fixed in a state, the state of being devoted to Mary. That’s what Mary wanted. She wanted dedicated people who would help her. She wanted her sons and daughters to be open and docile to the Spirit of Jesus. This required more than permanence in a place. PL But how would this happen? But they would take two other vows also – Stability and the vow to Teach Faith and Morals. By Stability they would mean, I want to remain in the state of being the son or daughter of Mary. I want, with her help, to become more like Jesus. I want to do everything I can to help Mary bring Jesus to my world. Unfortunately the other vow has been discontinued, but I hope its spirit will always be present, for I think it explains very clearly what I was given to appreciate at Saragossa. The vow to teach faith and morals (today you would probably call it the vow to evangelize), was a commitment to make everything we did come from faith and lead to the sharing of our faith. You see how important is our stated purpose of building communities of faith? That’s why I said, you will recall, “we don’t teach simply to be teachers. We teach in order to collaborate in forming Jesus Christ in the hearts of others.” In a way we represent Mary and act in her place. In her name, we dispose others to receive the gifts of the Holy Spirit who alone forms them to the likeness of Jesus. That’s Mary’s role. So that’s what Stability means to me. Stability means that I want to persevere in a state of being totally Mary’s son or daughter, another Jesus; that I want to give myself to her so that she can help me become like Jesus and do the works of Jesus. That’s why I insist so much on the imitation of Mary’s virtues. She really is the living icon of Jesus. Near her we know who Jesus is, the kind of works he does, and what we are to become. We are also helped by her powerful intercession and prayer, for all the grace of Jesus comes through her. Jesus himself wants it that way. PL Father, you seem to be touching upon two points—that we become like Jesus through Mary and that we cooperate with Mary in her mission. I understand how Mary helps us become like Jesus, but how do we help her in her mission? WJC We give ourselves to Mary to help her in her mission. Her mission is to bring forth Jesus, and she is involved every time people are converted and turn to Jesus or become more like him. But while Stability implies this, how we do this is often misunderstood. You know after Vatican II there was some talk among religious of just making one vow—a vow of charity. It sounded good, but such a vow really had no teeth in it. How could you really evaluate it? Among Marianists, there also was some talk of making one vow— the vow of Stability. They understood Stability as a general act of consecration or dedication to Mary. While this sounds attractive, it also has no teeth. If approved, this plan would have impoverished us and not put us in any position to effectively help Mary. Stability really spells out our Marianist identity. Why? Whether our Stability is temporary or perpetual, whether made as a religious or as a member of a lay group, we make our promise or vow of Stability within the Marianist Family. That’s the key. We make our consecration within the context of an organization that is dedicated to Mary. The Marianist Family is the Family of Mary, and therefore when we are faithful to the Rule of the Marianist Family and of the particular group in the Family to which we belong, that’s how we really love, honor, and remain united with and cooperate with Mary. So, a direct dedication to Mary, while it seems more praiseworthy, is really not the way to cooperate with her. It is more effective to dedicate ourselves to her indirectly. I dedicate myself not to the person of Mary directly but to the Family which belongs to her and which she has inspired. The spirit of the Marianist Family has been approved by the Church; therefore, we know we are not just acting according to our own subjectivity. During the Generalate of Father Simler we were very fortunate that we did not lose the vow of Stability. At that time there was a desire to have it only for the few. But Mary wants all to be her sons and daughters. Fortunately there is a growing appreciation of its importance among the various groups in the Marianist Family. PL Thank you, Father, for your insights. Thanks for helping us understand what you meant by Stability. Please continue to pray for the Marianist Family of which you are Father and Founder. You have shared so much with us. Continue to pray for us that we may be faithful. Thanks again for your time and insight. I’d like to take just a moment to invite you to think about what the days ahead mean to us. The liturgies of this week are powerful and primal. We are a part of something both ancient and new, and what we do this week reminds us of that. The altar will be stripped. The cross will be venerated. The tabernacle will be emptied. The Blessed Sacrament will be moved. Bells will be stilled. It is unlike any other time in our Catholic calendar. This week, we need to take time to think deeply about what we are doing, and what we are remembering. Take time to realize what this week has meant to the world. For close to two thousand years, we have gathered like this, in places like this, to light candles and chant prayers and read again the ancient stories of our deliverance and redemption. But are we aware of what we are doing? Do we understand what it means? Do we realize the price that was paid? This week, take a moment in each day that passes to wonder: What was Christ doing during this time of that one week all those centuries ago? What was on His mind on Monday, on Tuesday, on Wednesday? What sort of anguish? What kind of dread? Has anything we have ever worried about, or lost sleep over, or agonized about, even come close? He was “a man like us in all things but sin.” He must have been terrified. Long after the others had drifted off to sleep, did he stay awake and worry? Maybe he sat up alone, late at night, deep in thought or silent prayer. He was preparing for a martyr’s death. What went through his mind? Did he know doubt? Uncertainty? Did he wonder if there was another way? Did he wonder if there was any way to spare those he loved, especially his mother, from what was about to happen? Perhaps more than once he thought, somehow, of all the others who would follow him. All the other lives, including yours and mine, that would be changed by what he was about to do. Ultimately, that is what should give all of us pause—and send all of us to our knees. He did it for us. As you shop for Easter baskets and dye, and select your holiday lamb at Key Food or Trader Joe’s, I’d ask you to think of this. Ponder this. Make it a kind of prayer. Remember what we are doing, and why. Because, of all the calendars in all of human history, this is the one week that changed everything. This is the week that saw the institution of the Eucharist. It is the week that witnessed breathtaking betrayal, and denial, and torture, and heartbreak, and suffering, and death. It is the week that would lead, ultimately, to resurrection. Think of all that has happened because of this week. All the martyrs and missionaries, saints and servants of God who gave everything – all because of what we are about to celebrate, and remember. Because of this week, the world has ever been the same. This is “the week that was.” Seven days that shook the world. And the tremors haven’t stopped. There has never been only one way to run the faith-race. In fact, it might be helpful to think of the early Church as the first intentional attempt at spiritual "cross-training." Cross-training is the concept that gets gymnasts lifting weights, football players taking ballet and skiers skating down highways. 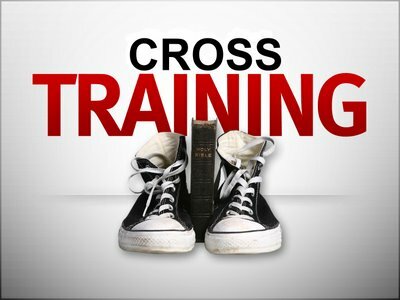 Professional coaches have long used the principles of cross-training - but it has only recently grown in popularity among casual athletes, largely because sneaker manufacturers finally discovered this wholly untapped market for a new line of expensive footwear - "cross-trainers." But the early Church was practicing spiritual cross-training from its inception. For the benefit of all, present and future generations alike, there was the commitment to teaching. For the benefit of each other, there were the constantly flexed arms of fellowship. For the benefit of bonding the body and spirit, there was the tradition of breaking bread together. For the benefit of strengthening separate souls within a communal family environment, there was prayer. This vigorous workout did for the early church what arduous cross-training is supposed to do for athletes - get them off to a running start with explosive power. With energy and endurance these new Christians built a reputation for the church as a community so spiritually fit that today we still look at it with wistful amazement. The cross is provocative ... no doubt about it. And yet, we can't avoid it. This agonizing instrument of death is central to our identity as Christians. We wear it around our necks, we hoist it on our steeples and we claim to take it up as we follow Christ. It remains a majestic, mysterious and fitting focal point for our worship of a God who transforms evil into good and provokes us to follow him in faith. There's just no escaping the cross. It's not a prime-time special that we can turn off at will, and it's not a public execution that we can choose to turn away from and ignore. No, as Christians we are required to be witnesses for this execution, and to witness it in a way that means more than giving intellectual assent to the central role of the cross in a particular plan of salvation. Our role is to be truly "provoked" by the cross -- a word which comes from the Latin provocare, which means "to call forth." God uses the cross to provoke us, to call us forth, to stimulate us to action, to arouse our passion. This means that we witness the execution by embracing a life of sacrificial service. Hebrews speaks of a ministry of encouragement and mutual support, one that involves meeting together, provoking one another to love and good deeds, and acting as a passionate community of faith. The cross is powerfully provocative as it calls us forth and stimulates us to love one another, to do good and to be the Body of Christ in the world. (Vatican Radio) Pope Francis on Tuesday invited all Christians to accept God’s love without being critical and making objections. 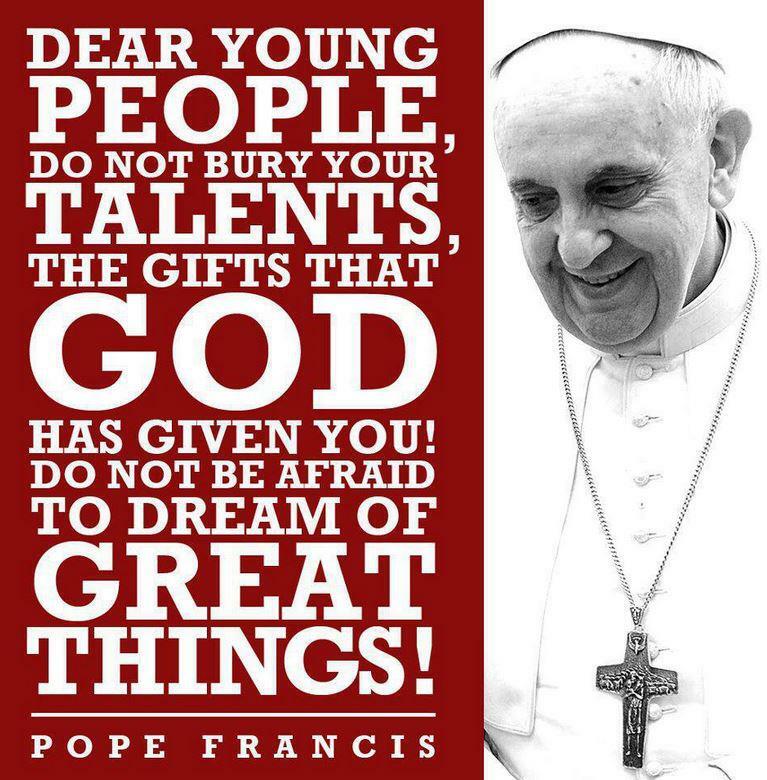 He was speaking during the homily at morning Mass in the Casa Santa Marta. Taking his cue from the Bible reading of the day that speaks of how the children of Israel complained against God during their journey through the desert and of how they objected to the “wretched food” provided, the Pope pointed out that God offers us salvation in a thousand different ways but too often we are incapable of accepting his “divine ways”. He said that as narrated in the reading from the Book of Numbers the Lord sent in punishment saraph serpents which bit the people and many of them died. So Moses prayed for the people and obeying the Lord’s command, mounted a bronze serpent on a pole giving salvation to anyone who looked at it after being bitten. Only Moses’s intercession, and the symbol of the cross on which Christ will die – the Pope said – provides salvation from the poison of the snakes. And describing the attitude of many Christians today as “spiritually whimsical”, Francis said that we often commit the same kind of error, “becoming sullen and grumbly”. “How many of us Christians find ourselves ‘poisoned’ by the dissatisfactions of life. Yes: God is good but… we are Christians but… This kind of Christian ends up not opening his heart to God’s Salvation, but always posing conditions. ‘Yes, I want to be saved but in this way…’ This attitude poisons the heart”. Pope Francis said that to not accept God’s gift in the way it is offered is a sin. It poisons our soul, deprives it of joy. And Jesus – he said – solved this problem by climbing Mount Calvary. “Jesus himself takes that poison upon himself. This ‘tepidness’ of ‘half-way’ Christians who show enthusiasm at the start of Jesus’ journey only to become dissatisfied on the way. The only way to heal is to look at the Cross, to look at God who takes upon himself our sins: my sin is there”. How many Christians – the Pope concluded – today “die in the desert of their sorrow, grumbling and not accepting God’s way”. “Let’s look at the serpent, at the poison, there, in the body of Christ. The poison of all the sins in the world and let us ask for the grace to accept difficult moments. To accept the divine way of salvation, to accept this ‘wretched food’ that the children of Israel lamented... Let’s accept the paths that the Lord leads us on. May this Holy Week – that begins on Sunday – help us to turn away from the temptation to become “Christians yes, but…”. Psalm 5 encourages us to make an open outcry to God. "O LORD, in the morning you hear my voice," says the psalmist; "in the morning I plead my case to you, and watch. For you are not a God who delights in wickedness; evil will not sojourn with you." Believe it or not, we can gain relief simply by speaking honestly about our troubles. "Talk therapy" is the technical term, and it can do a lot of good for people feeling depressed, stressed or anxious. Professional therapists all agree that talking, articulating, voicing, speaking or otherwise expressing our ideas, thoughts and feelings is a good thing. So why not talk about your feelings with God, who is the ultimate listener? In the morning, plead your case -- ask for help with frenemies, co-workers and relatives. 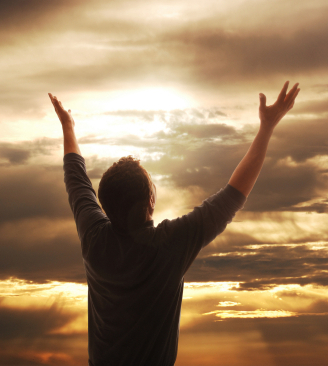 Pray for strength to face the challenges of the day, knowing that the Lord is "not a God who delights in wickedness." When Luke's Gospel reports the Annunciation of Jesus' birth to Mary, we proclaim her blessed and "favored." But Mary may not have felt "blessed" or "favored." She had to accept first that all her life plans were about to be changed forever. She would bear a child, under truly unusual circumstances, and be transformed by that process in ways she could not ever imagine. Surely her relationship with Joseph was also now altered for all time. How would he react to her news? What could he say? But despite the tumult that welled up inside her heart, Mary's response to the angel Gabriel's message is straightforward: "Here am I, the servant of the Lord; let it be with me according to your word" (Luke 1:38). In these words, Mary discovered the "secret" of living. It is giving! Mary offered up herself, all of her, to God's mysterious will and way. Blessed William Joseph Chaminade was convinced that communities, similar to those of the early Church, could attract people to the Christian message: “The community of believers was of one heart and mind, and no one claimed that any of his possessions was his own, but they had everything in common” (Acts 4:32). So, how does one know if the Lord is calling? This is the language of the heart, and often it is difficult to put words to the language of the heart. The Good News is, no one discerns a vocation in the Church alone — with the help of a vocation director, you will be able to discern whether the Lord is calling you to one community or another, or to marriage or the single life. All disciples of Christ are called to love without limits, to give the gift of our very selves to others. Those called to religious life are called to live this “more” in a radical way, a way that would be impossible without the grace given by Him to carry it out. Prayer is more than praying our way out of trouble; it is praying ourselves into the will of God. There are two kinds of Christians-- those who "pray their way in," and those who "pray their way out." Most of us, unfortunately, take our prayer lives most seriously when we are trying to "pray our way out." But much of our lives is beyond our control. We can't run the show. We might as well relax and just enjoy the picture. Why don't we trust God's plan and PRAY OUR WAY IN to a yielded life? Mother Teresa kind of talks about shifting our prayers from what we want to what God wants. In Sunday's Gospel text, Jesus shifts the direction of our prayers even further than Mother Teresa proposed. Instead of asking God to "save me from this problem," or "deliver me from this mess/stress/distress," Jesus teaches us to ask God to "glorify your name in this action." When God's voice rang down out of heaven and promised that Jesus was being glorified, some heard angel voices, others heard thunder. When your life takes unexpected turns, crashes into a barren spot, or overwhelms you with responsibility, do you hear the din of thunder roaring in your ears? Or do you hear the voice of an angel offering you a chance to glorify God? It's your choice. Either you can try to pray your way out of a thunderstorm. Or you can pray your way in to the glory of God. In Psalm 4 the psalmist tells us not to sin, but to ponder. Okay, let's say we agree. What should we spend this time thinking about? In one sense, there are no limits on that answer, but as a starting place, perhaps we could spend some time "pondering"
- a particular Bible selection. Boring. We get it. Like, how many of us have sat still long enough to meditate on any of these topics? Let's put this in perspective. We're talking about thinking, the pondering that the psalmist calls for. Certainly the Bible reminds us that true religion is a religion that moves us to moral action. Okay, with that caveat, we go on. If such thinking is as vital to our spiritual life as it is to other parts of our life, most of use prefer activity to just thinking, perhaps it's worth considering how the two -- activity and pondering -- might come together effectively. Truth is, we can be active and engaged in deep thinking at the same time. Deep thinking does not need to be done in a chair alone in some room. Brother Lawrence, the 17th-century lay monk, who wrote the devotional classic The Practice of the Presence of God, was assigned to work in the monastery's kitchen, and while there, he decided to try to pay attention to God's presence even while going about his duties. He reported that working in the kitchen like a common scullery maid was not much different than when he was alone in his cell meditating. "That time of business in the kitchen does not with me differ from the time of prayer, and in the noise and clatter of my kitchen, while several persons are at the same time calling for different things, I enjoy God in as great tranquility as if I were upon my knees at the blessed sacrament." Not everybody can do that, of course; some, and perhaps most, people would find the hustle of the kitchen too distracting to promote good thinking. The point is this: It's good for us to find whatever means works best for us to ponder not only the issues of life but also the things of God, whether it be on our beds like the psalmist, in the kitchen like Brother Lawrence, or in a lonely place like Jesus. Good thinking is not enough by itself to do the work of God. But neither is mindless activity unguided by spiritual reflection enough by itself either. But steered by clear thinking and powered by rich faith, we can be very much the people who do God's will. and first among them were Mary and Joseph. Be not afraid – of what? Of taking Mary into his home as his wife? Of caring for a child he knew he had not fathered? and into your whole future. and stand it on its head!" "Joseph, are you ready for this?" in ways we may never have imagined or wanted. Pope Francis: Who are you to shut the door of mercy? Pope Francis has again forcefully emphasized the Catholic church’s need to be merciful, pointedly asking who Christians that do not allow someone to renter the church community think they are. 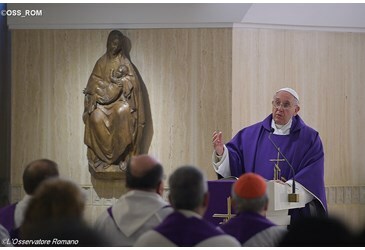 Francis’ emphasis Tuesday on the need for mercy from Catholics comes just days after the pope announced Friday that he will be convoking in December an extraordinary jubilee year for the Catholic church to be called the Holy Year of Mercy. “You Were on the Cross,” wrestles with the often asked question, “...where is God in the hurt and heartbreak.” Through this song Matt Maher points out God’s presence in our suffering. 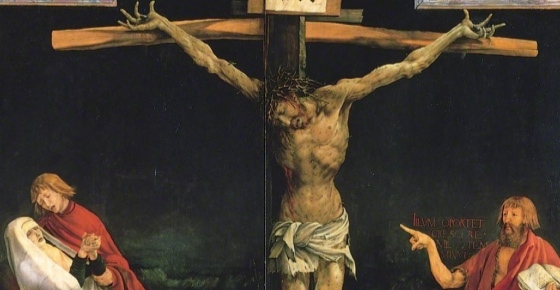 He shares, “Not only is the cross, in and of itself, the atonement for sin, it is the means by which all human suffering becomes a transformational moment. It is the amazing grace of God that leads us through every maze of life. It is out of divine mercy that the spirit of God is placed upon the "suffering servant" in Isaiah 42. It is out of divine mercy that the spirit of God descends upon Jesus at his baptism. For it is in the incarnation of the Logos, in Jesus Christ, that the creative power of God makes divine mercy available, at last, to all of creation. As God's blessedness, as God's partners in creation, are we living out of this gift of amazing grace? Or are we stuck in mazes of our making? Are we extending God's amazing grace to others, instruments of the grace that brings together God's justice and mercy? Or are we hard hitters, law-abiding judgers who are nevertheless soft targets ourselves, lost in life's labyrinth like everyone else? Paul said we are to "shine like stars in the world" in the midst of a "crooked and perverse generation," stars offering not justice, not mercy, but God's gift of amazing grace. Not every verse in the Bible is on the tip of your tongue, but most regular church attendees can usually rattle off the gist of John 3:16, which is often called “the gospel in a nutshell.” There’s truth to that, but it also leaves us with the assumption that if we can recite John 3:16, we've pretty much got the whole Christian message, as if the rest of the Bible were just commentary. The fact is, many people who know just John 3:16 aren’t going to have the foggiest idea what Jesus was talking about in 14 and 15 or why the story of a wilderness serpent serves as an introduction to verse 16. That verse, of course, tells of God’s love for the world and of his sending of his Son so that everyone who believes in him may not perish but have eternal life, but what does a snake in the wilderness have to do with that? In fact, the uninformed may well assume that this wilderness serpent is another appearance of the one who tempted Adam and Eve, but they’d be wrong. This serpent is not a tempter but a savior. Reading John 3:16 and thinking you've got the whole story is like reading in hop-skip fashion on the Internet. You may, in fact, get the basic nugget of the story, but you will miss the in-depth kind of understanding that comes only from deeper reading, from living with the Scriptures. Now if we turn to John and look at the larger context there, we see that Jesus’ mention of the serpent in the wilderness was in a conversation with a Pharisee named Nicodemus. This man had come to Jesus seeking to understand his message and mission, and as they were both Jewish and steeped in the Hebrew Scriptures, Jesus was able to refer to this serpent story with the certainty that Nicodemus would know it and be able to use it as a comparison to Jesus’ mission. Thus, when Jesus says to Nicodemus, “And just as Moses lifted up the serpent in the wilderness, so must the Son of Man be lifted up, that whoever believes in him may have eternal life,” Nicodemus suddenly understands that Jesus intends to be a savior. That was the theme of our Marianist vocations night named Operation Fiat last night at the Chaminade-Mineola Marianist Community. In a filled Community Chapel young men who are exploring the possibility of a Marianist religious vocation came to share Evening Prayer, dinner and a vocation talk. Jesus spoke these words to Simon Peter, encouraging him to cast the nets once more after a fruitless night fishing. Simon Peter’s trust and willingness to respond bore great fruit. We now offer these same words to you to encourage you in your discernment. The first invitation required Simon Peter to take a chance on the fishing advice of Christ. He was willing to step into the unknown and trust Jesus. The second command, although coming in light of the miraculous catch, required Simon Peter to take an even greater step into the unknown and place even more trust in Jesus. He did not know where following Christ would lead him, but he did know that Jesus was capable of great things. The process of discerning a Marianist religious vocation can be difficult in the midst of a busy life. The evening might have been named, "Duc in Altum: because the nature of Christ’s invitation is to each of us similar to the invitation Simon Peter received in that boat so many years ago. It is an invitation to step out into the unknown. Following that invitation requires the same willingness to trust in Jesus as well as the same boldness to step forward despite not knowing where He will lead us. Initially, there may not have been much on which Simon Peter could base his trust in Jesus’ fishing advice. Yet we do have a good bit on which to base our own trust.We recognize that we have the witness of the lives of countless saints to show us that the Lord does amazing things with those who put their trust in Him. Each of the saints was given a similar invitation to trust in the Lord and step into the unknown. Each of them was held firmly in the palm of the Lord’s hand while following His invitation. If you find your trust in the Lord lacking, especially after what seems like fruitless days and nights of discernment, take heart in the witness of Peter, James, John, and the other Apostles. Take heart in the witness of the countless Marianists who you know so well. Pick up a book on the lives of the saints and notice how they were not abandoned by the Lord. Look back on your own life and notice how you as well were not abandoned when you took risks in following the Lord. See that the Lord is worthy of your trust. Together with the saints who have gone before us, we can place our trust in the Lord, “put out into the deep,” and follow Christ into the unknown. For those young men who attending the Marianist Operation Fiat last evening, WE are praying for your vocations. Released from Pope Benedict XVI in anticipation of World Day of Prayer for Vocations, Fourth Sunday of Easter, 2011: "Vocations to the ministerial priesthood and to the consecrated life are first and foremost the fruit of constant contact with the living God and insistent prayer lifted up to the ‘Lord of the harvest’, whether in parish communities, in Christian families or in groups specifically devoted to prayer for vocations. At the beginning of His public life, the Lord called some fishermen on the shore of the Sea of Galilee: ‘Follow me and I will make you fishers of men’. … It is a challenging and uplifting invitation that Jesus addresses to those to Whom He says: ‘Follow me!’. He invites them to become His friends, to listen attentively to His word and to live with Him. He teaches them complete commitment to God and to the extension of His kingdom in accordance with the law of the Gospel. … He invites them to leave behind their own narrow agenda and their notions of self-fulfillment in order to immerse themselves in another will, the will of God, and to be guided by it. He gives them an experience of fraternity, one born of that total openness to God which becomes the hallmark of the community of Jesus”. “It is no less challenging to follow Christ today. It means learning to keep our gaze fixed on Jesus, growing close to Him, listening to His word and encountering Him in the Sacraments; it means learning to conform our will to His. This requires a genuine school of formation for all those who would prepare themselves for the ministerial priesthood or the consecrated life under the guidance of the competent ecclesial authorities. The Lord does not fail to call people at every stage of life to share in His mission and to serve the Church in the ordained ministry and in the consecrated life”. Looking for something to pray for? On Wednesday, March 11th the Marianists of the Province of Meribah will be hosting an evening for young men interested in exploring the Marianist life. The evening will begin at 6:00 p.m. in the Chapel of Our Lady's Assumption in the Chaminade-Mineola Community with Sung Evening Prayer. Colton Dixon's seventh-place finish on Season 11 of American Idol was one of the most surprising and memorable Idol cuts of all time, but it was only the beginning for the artist. Last year Dixon released his debut full-length album, A Messenger, featuring the hit songs "You Are" and "Never Gone." That album takes its title from the Bible passage John 13:16: "Very truly I tell you, no servant is greater than his master, nor is a messenger greater than the one who sent him." Dixon has returned with a new set of songs on his sophomore album Anchor, including the lead single "More of You." In addition to hearing Colton sing these very worshipful and vertically directed new songs at Creation Northeast, I had the opportunity to speak with Colton about "More of You." A fun fact from the writing side is that this was the last song we wrote for the album. I went into the studio and the guys I was writing with said it was the last day to get whatever we hadn't said out on the table. I remember thinking "what is that?" I started going through my notes from Winter Jam. What I love to do when I get a song or lyric idea on tour is jot it down in my notes and visit it later. I was re-visiting those notes, and the idea of "More of You" kept resurfacing. The best way I know how to explain is from the analogy my youth group leader shared with me growing up in the church. Think of two cups of water. One cup is you, the other cup is God. The water represents anything you're putting before God. It could be entertainment, your family, or any of your favorite things. The water in God's cup simply represents Him. What God wants to do is fill us up with Him. He wants to draw us closer and closer to Himself and for us to be more and more like Him. What I've come to realize is that if we as believers want to truly experience the full potential of God's power and potential in our lives, then we have to empty our cups first to make more room for Him. That hit me like a ton of bricks. I remember thinking "it is time for me to start emptying my cup or cleaning out the toolbox," so to speak. That's been my challenge to myself, and it turned into the idea for the song. It was obvious that God was part of the song from the moment we started typing out lyrics. "The essential is the interior"
LENT - Get you act together now!